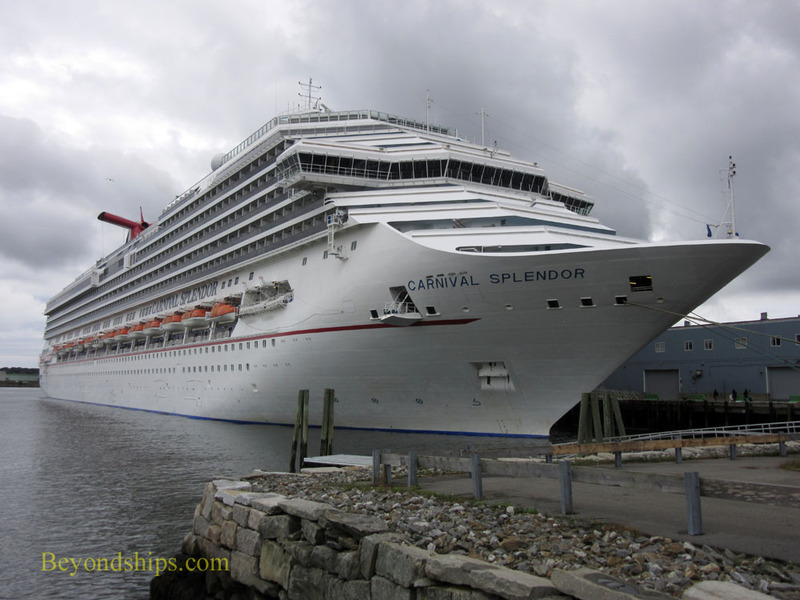 When Carnival Splendor is based in New York, the traditional mainstay of her schedule from June to October has been cruises to Eastern Canada. 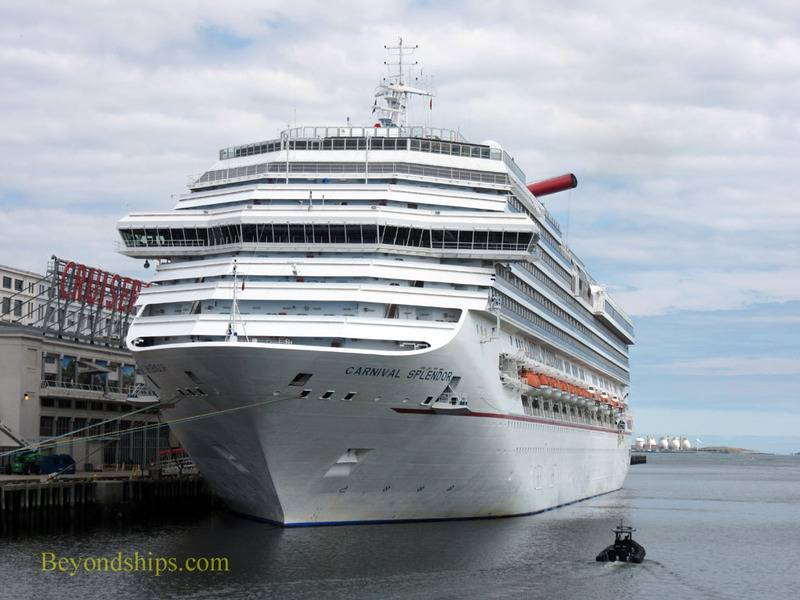 However, sometimes, particularly in the autumn months, her itinerary is extended and she does cruises that also include some New England ports. 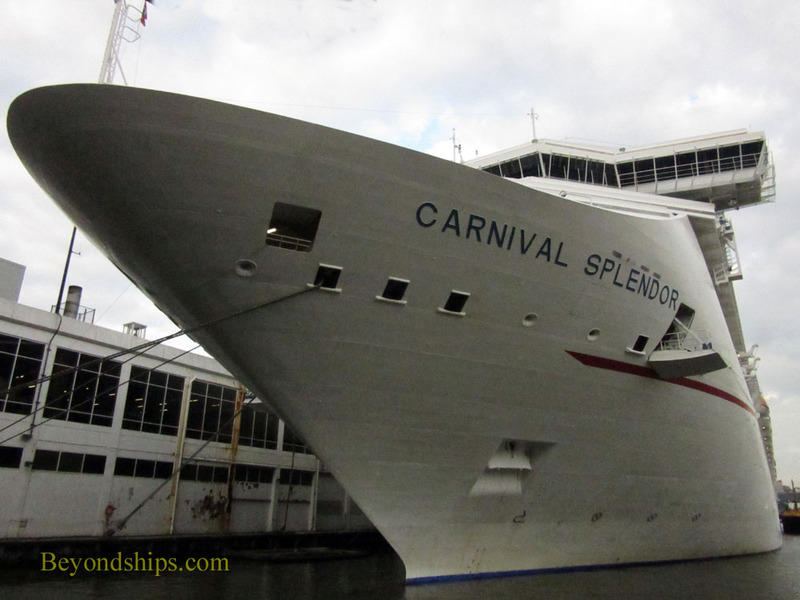 New York City is Splendor's embarkation port for these cruises. Splendor sails from the conveniently-located Passenger Ship Terminal (also known as the Manhattan Cruise Terminal) in Midtown Manhattan. (See photo features (photo 1, photo 2) and a video feature of Splendor at these piers). These piers were first constructed for use by the legendary ocean liners Normandie, Queen Mary and Queen Elizabeth. 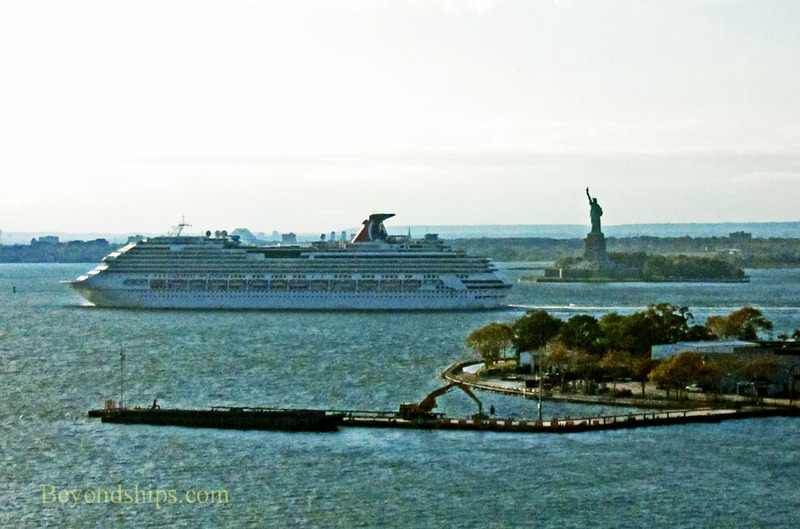 Like the great ocean liners, on her way to sea, Splendor sails down the Hudson past the Manhattan skyline (as well as the more recent towers of Jersey City) and then past the Statue of Liberty. In Boston, Splendor docks at the Black Falcon Cruise Terminal. Located across the harbor from Logan Airport, aircraft swoop low over the ship on take-off and landing. Until recently, there was not much else to see near the terminal. However, in the last few years, the area between the terminal and downtown has undergone a transformation. Now there are major hotels and restaurants within walking distance of the port. In Portland, Maine, Splendor docks downtown. It is just a few steps to the restaurants and shops that have taken over the revitalized waterfront area.